There is no simple threshold between the experience of drinking and the pleasure it can bring on the one hand and the pain and suffering caused by alcohol abuse on the other. But if we are to understand the role of alcohol in society, then at the very least we need to acknowledge the pleasure as well as the pain. 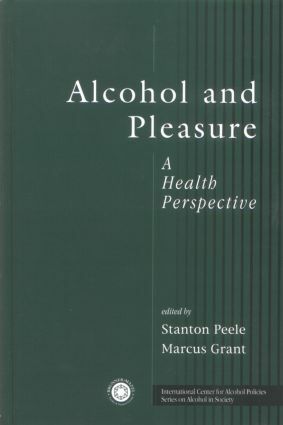 Alcohol and Pleasure aims to bring together existing knowledge on the role of pleasure in drinking and determine whether the concept is useful for scientific understanding and policy consideration. Part I: Pleasure and Health surveys evidence that points to pleasure as an essential element of physical and mental health and discusses the resulting implications for public health policy. Part II: Pleasure and Alcohol Cross-Culturally provides a series of case studies examining the impact of pleasure on the nature of and trends in drinking in both the developed and the developing world. Part III: Alcohol and Medical, Psychological, and Social Health reviews the range of health benefits that are drawn from moderate consumption of alcohol and the extent to which these suggest room for positive public health recommendations on drinking. Part IV: Drinking Expectations and Contexts explores the array of non-pharmacological factors that add to, modify, or direct human reactions to alcohol. Part V: Pleasure and Alcohol Policy tackles evolving conceptions of health as found in the World Health Organization's Quality of Life project. Finally, Part VI draws conclusions from the volume as a whole and the conference on which it is based.